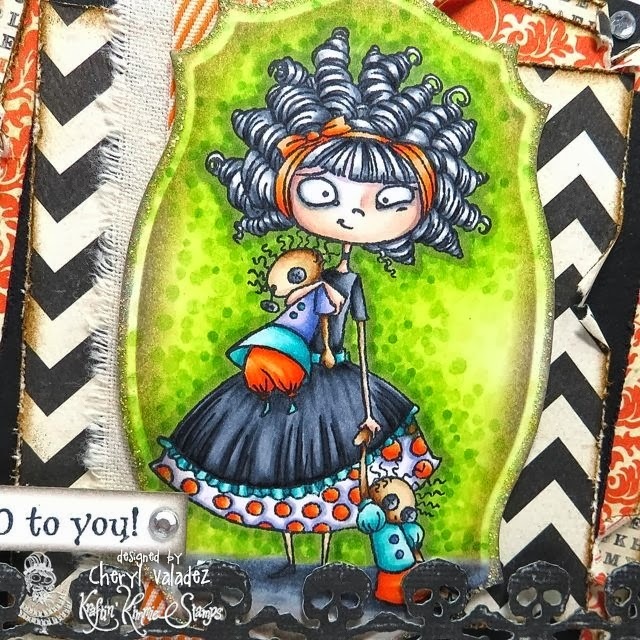 The Ink Trap: A new challenge at Kraftin' Kimmie Stamps: Back in Black! 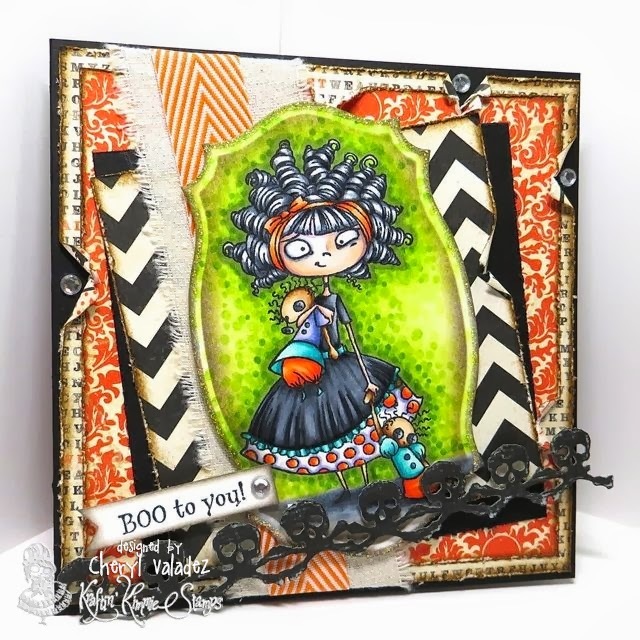 A new challenge at Kraftin' Kimmie Stamps: Back in Black! Hello, Bloggers of Blogland! Welcome back! I have been MIA for a bit. We had a lovely visit with family the week before last, which included a relaxing afternoon at the St. James Tea Room, a few delectable meals out, a few delicious meals in, a canning class, and a full day of non-stop action prepping, cooking, and serving at the Disc-It Round Up charity event. Whew! I bet our guests were happy to get home, so they could rest...LOL! Thank you, Diane, Wanda, and Marilyn for traveling all this way to work your butts off. You have know idea how much we appreciated it! Well, you've no doubt stopped in to see what's brewing at Kraftin' Kimmie Stamps this week. It's the 200th challenge and Kimmie has cooked up a special prize. The winner of this week's challenge will receive one of our fabulous paper packages AND a stamp!!! YEP! That's pretty darn great! This week our hostess is SHARON!! And her challenge is Back in BLACK!! So create a card, scrapbook page or altered item with a Kraftin' Kimmie stamp that features anything BLACK on it!! Have some krafty fun and join us this week because we'd LOVE to see your KKS designs. I pulled out my absolute FAVORITE KKS stamp for this challenge...Charlotte! She's a sweet gal with a bit of larceny in her blood, so I loved the idea of giving her a Halloween-ish spin. She reminds me of that oddball niece that you don't want to leave alone with the puppies or kittens, because in the blink of an eye she'll have them stuffed into doll clothes and pushing them around in a baby carriage much to their furry chagrin. Oh sure, it's kind of cute, but it's kind of weird at the same time and not quite right. Yeah, you feel me. Don't forget that you have until Sunday night to submit your creations to our World Kardmaking Day Challenges!!! There are six fabulous challenges to choose from and one of them you can even WIN a spot on the KRAFTY GIRLS Design Team!!!! Who's playin'?? ALSO, don't forget that our BIRTHDAY BASH SALE ends on Sunday night!! There are over 140 of our fave stamps and stamp sets on SPECIAL 20-60% OFF !! And remember there's a present for YOU too! Every order over $30 will receive a special goodie in their package!! Could be a stamp, could be some twine, some adhesive pearls or rhinestones, could be a magnet or keychain....it will be a fun surprise!!! But only while supplies last!! PLUS we've got lots of brand NEW 6x6 PAPER PADS in stock!! Lots of holiday pads by Carta Bella, Echo Park, Lawn Fawn, Bo Bunny and more!! Scoop some up along with your new stamps!!! OH and a few of them are on SALE too! Love this card, Cheryl! Sweet Charlotte is my favorite "Bad Girl"! wowzza girly! your coloring is amzing and the skull die is to DIE for!